The holidays are notoriously unproductive times, but it doesn’t have to be that way! Follow these productivity hacks I’ve used to stay in the game this holiday season. It’s inevitable. The holidays always bring a rush of activities as you try to balance your home and work life. But the tension of holiday traditions at home while getting everything done at work are just the beginning. 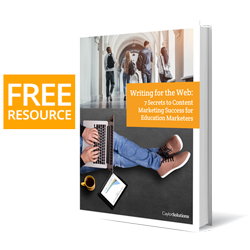 Many education marketers also find it hard to get things done this month because of final exams and graduation. You might not have this problem if you’ve got more staff and resources at your school. But if you serve at a smaller private, organization, your non-marketing co-workers might not be able to collaborate with you on marketing projects in a timely fashion as all their extra time is being used for end of semester responsibilities. There’s also the hard-to-measure reality of people just “clocking out” mentally. Decembers are to the year what Fridays are to the week. Everyone’s productivity wanes as they look forward to their holiday vacation activities. One other pesky thing that can bog down productivity is that many of your colleagues might be working shorter hours as they prepare for holiday parties. Getting the answers you need to move forward on projects is hard when you keep getting out-of-office replies. But while you can’t fire on all cylinders at holiday time, you can still get a lot done if you use the right approaches. Here are the 3 productivity strategies that I use to boost my productivity, even during the holidays. It’s difficult to keep your mind on work-related matters for long periods during the festive season. That’s where the Pomodoro technique comes in to save the day. The procedure uses a timer to break down work into segments, traditionally 25 minutes in length, separated by short breaks. Choose a task you’d like to get done. Set a timer for 25 minutes (or whatever you decide). When the timer rings, stop. After 4 sessions take a longer break of 20 or 30 minutes. These short intense sessions allow you to do your best work. Because the whole technique revolves around timing yourself as you work in short bursts, it’s helpful to have an app to track your progress. PomoDoneApp (Web, Windows, macOS, Linux, iOS, Android) for using Pomodoro with a third-party task management app. KanbanFlow (Web) for combining Kanban and Pomodoro. Pomotodo (Web, Windows, macOS, Chrome, iOS, Android) for combining GTD® and Pomodoro. Marinara Timer (Web) for teams looking to complete pomodoros together. Be Focused (macOS, iOS) for simple task and time management on Apple devices. Tomatoes (Web) for motivating you to complete pomodoros. Engross (Android) for figuring out when you’re the most focused. Pomodoro cc(Web) for people who are new to the Pomodoro Technique. Timerdoro (Web) for people who need multiple timers. 1. Capture what has your attention. Use a notepad or voice recorder to collect the personal or professional projects or to-do lists. Take everything you listed in step 1, and decide if it’s actionable or not. Something is actionable if it involves a visible, physical action. If not, discard it. If it takes two minutes or less, do it now. If more, set the time when you’ll do it or delegate it. Group tasks into related categories (e.g. emails to send, meetings to attend, errands to run, etc.) Have action reminders on the lists. 4. Review and reflect regularly. Critique your list weekly. Decide what to do next. Update the list and refocus. Take action using the system you’ve created. At its core, the GTD theory is simple: you work better when you are relaxed. By getting rid of clutter and organizing your thoughts, you can be more productive. Do it, if it’s actionable and takes less than 2 minutes. Drop it, if it’s not actionable. Delegate it, if it takes more than two minutes. Defer it, if you can’t do it that very day. Would you like to grow your email list, follow up on leads, and share great content to your audience on social media while enjoying the holiday at the same time? Well, you can! By automating your marketing. Buffer– schedule posts, analyze their performance, and manage all your social accounts in one place. Hootsuite– schedule posts, manage multiple accounts, send targeted messages and monitor brand mentions. CoSchedule– communicate in one place, integrate tools you use regularly and have a unified calendar for your team. 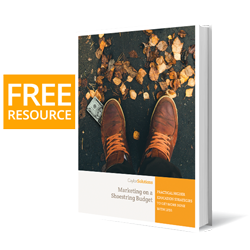 HubSpot CRM– organize, track, and nurture your leads and customers with ease. Salesforce– get a unified view of every interaction with prospects, students, alumni, donors, and affiliates. Marketo– engage students based on their individual interests, and respond appropriately based on their stage in the student lifecycle. 1. Tie everything to your goals. Don’t just use the latest automation tactic without checking to see if it aligns with your goals first. 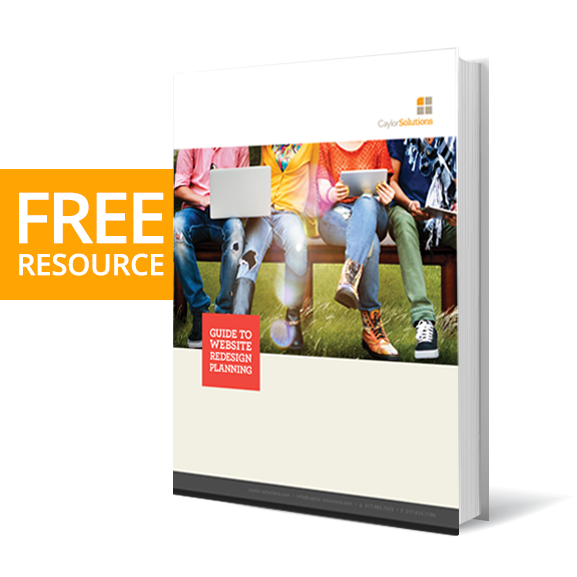 Only do what makes sense for your enrollment marketing plan. It’s easy to fall into the temptation of bombarding your list with general messages. This is the quickest way of losing audience interest and ending up in the spam folder. Segment your audience and send highly-targeted content to them. Your institution’s best evangelists are the current students and their parents. Have specific campaigns targeted at them so as to keep them engaged. While it’s true holiday cheer might keep you super busy in the coming weeks, your productivity levels don’t have to take a nosedive. Try out these three productivity strategies to stay on top of your game and still have a good time with friends and family.